I am very pleased to be able to feature the latest book by writer, blogger, and magazine publisher, Daniel White. 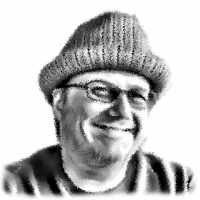 Daniel is the owner and editor of both Unfit Magazine, and Longshot Island Magazine, and has been kind enough to publish some of my stories and articles in that great publication. D. S. White received his BA at Columbia College in Chicago and his MBA at National Taiwan University. He is the editor-in-chief at Longshot Press, which runs two imprints, Longshot Island and Unfit Magazine. While his expertise is in business, his passion is in writing. He was born in the mountains but now lives by the sea. Here is a synopsis of his exciting new book. “Meet Lewis Fuller, a simple kid with no idea of what’s at stake or how to fix anything. Just having arrived in the future, he’s got a lot of catching up to do. Dr. Tarkentower had plans of changing the world forever. Tired of seeing so much pain in the eyes of his patients, he quit his job at the hospital and created a vast machine that could control time itself. From there, he put the whole earth into a loop, repeating the same day over and over. Each day his machine picks a few people who go forward in time, escaping the loop, living on a future planet that is not so crowded. It sounds like the perfect solution. But people stuck in the loop are slowly going insane. As they arrive in the future, they bring with them a world of chaos. Lewis has to find Tarkentower’s machine and turn it off to save the future. And to pull that off, he’s going to need a lot of help”. As you can see, this is a fresh look at the whole idea of Time, an interesting mix of science fiction and dystopian thriller that should appeal to a very wide audience. Daniel’s writing style is accessible, and his scenarios believable. This is a compelling read for any fans of both genres. Here are some more links to the book. If you have Kindle Unlimited, it is currently free on that. In this link to Daniel’s blog, he explains the whole process of writing this new novel. Please share this post, and the links, on all your social media platforms, and reblog if you think your own readers will be interested. Let’s get together to promote Daniel’s book. He is a very supportive publisher, a fine writer, and a big part of the blogging community. Many thanks, Michael. This is something very different for a change. Thanks, all! Really great feedback. This sounds fascinating, Pete. Thanks for the introduction. A fresh take on time-related sci-fi, Robbie. I think it’s something different. It sounds very interesting, I love the idea of a villian who just wants to save the world! This does sound intriguing Pete. Thanks for introducing Daniel and his book. Thanks, Kim. I do like the time-travel/stop time theme a lot. I’m way behind in my reading due to work, home projects, and writing lyrics and fiction. But I’ll put D.S. White’s book on my reading list. This looks like a book to make us think, so I went straight through the ether to download. Please post a review on the site you got it from, when you have read it. I review every book I read – when is another matter! I have put the post and links into the Blogger Daily Pete and look forward to hearing from Daniel going forward.. will be delighted to help promote.. Thank you for the introduction. I’ll head right on over there. 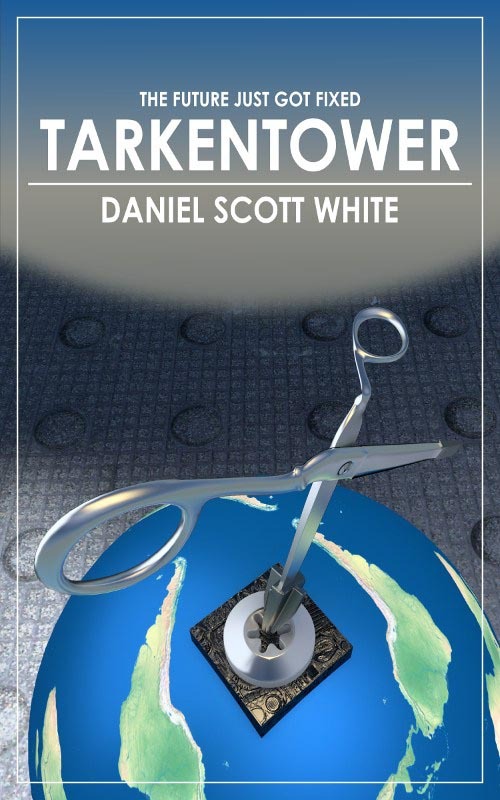 If you’re interested in time-related fiction and looking for a different take on it, check out Tarkentower. It sounds like a very intriguing idea. Thanks, Pete, and congratulations to the author. I hope the book does well. Many thanks, Olga. The reblog is much appreciated too.